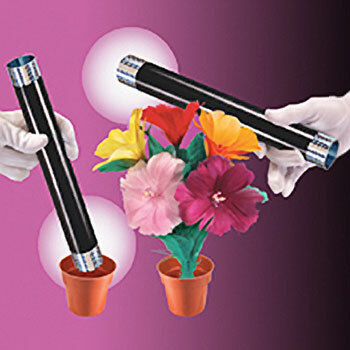 Produce a colorful flower bouquet from a magic wand! 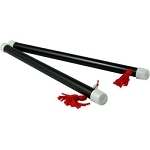 The wand does all the magic! The effect is simple yet VERY STARTLING! 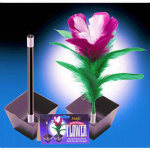 Wave the magic wand over the flower pot, and INSTANTLY a large and colorful feather flower bouquet appears from nowhere! Wand is about 10" long. 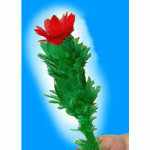 Lush and large five blossom feather flowers bouquet is about 8" high. Sits in a plastic flowerpot stand. Sorry, flowers are not available for purchase separately. 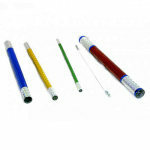 Wand is a black plastic tube with silver mylar decoration. 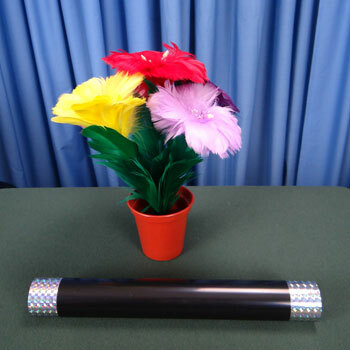 Flowers are feather flowers on a metal stem. Flowers are about 8" tall. 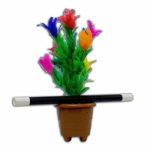 Flower pot is light brown plastic. 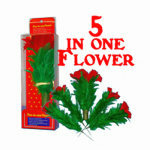 Feather flowers like these are made from REAL turkey feathers, dyed and tied into flower shapes. With a bit of care, these feather flowers will easily last for many years of use. 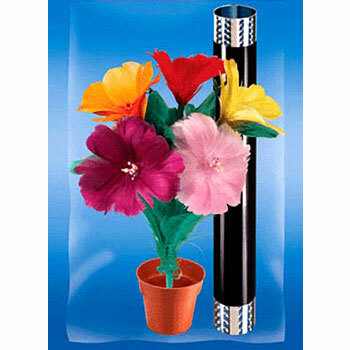 Store your feather flowers OPEN. 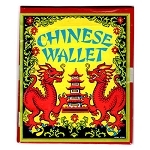 In other words, don't wrap them up and store them. Prop them up in a vase or other container, and drape a light cloth over them to keep the dust off. 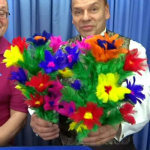 DO NOT wash your feather flowers. 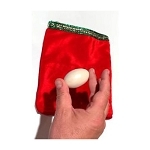 You can lightly shake them, or use canned air or a hair dryer (on the "COOL" setting) to remove dust. Fluff them with a cool hair dryer. 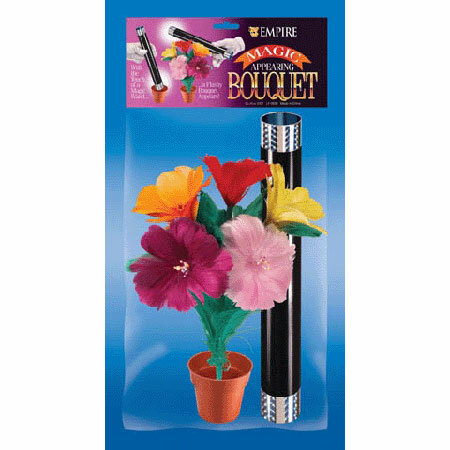 You can also use a hair dryer on "COOL" to fluff up the flowers. 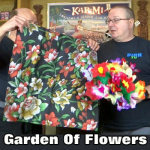 Q: can I buy the flowers by them selves? 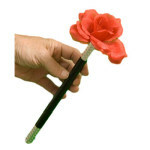 A: Sorry, the flowers and wand come as a set. 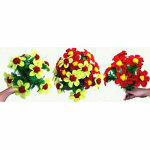 However, we do have several other flower effects that may suit you.